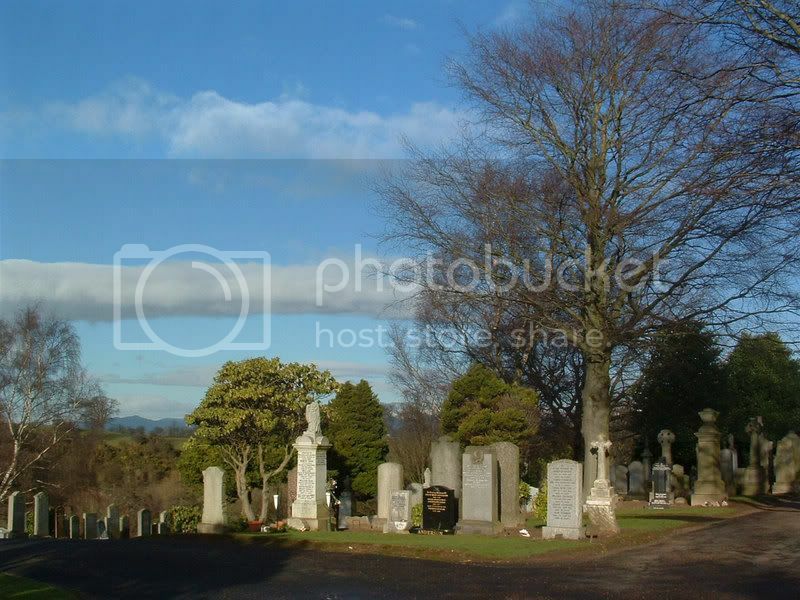 Most of the photographs, especially the non-CWGC burials were taken in winter. but as it turned out, this wasn't too good an idea! I hope to return and update as many photos as I can (weather permitting) during the summer months. 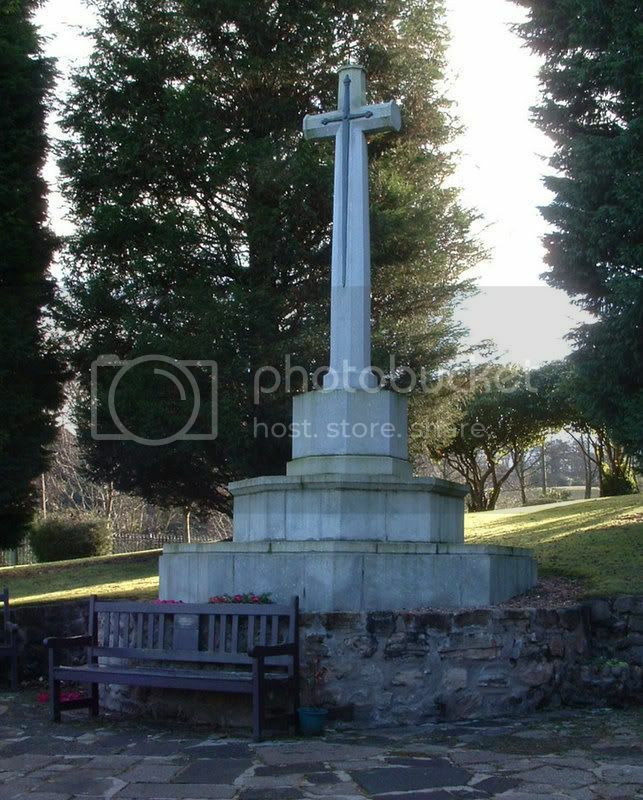 The 1914-1918 War burials are in various positions in the cemetery. 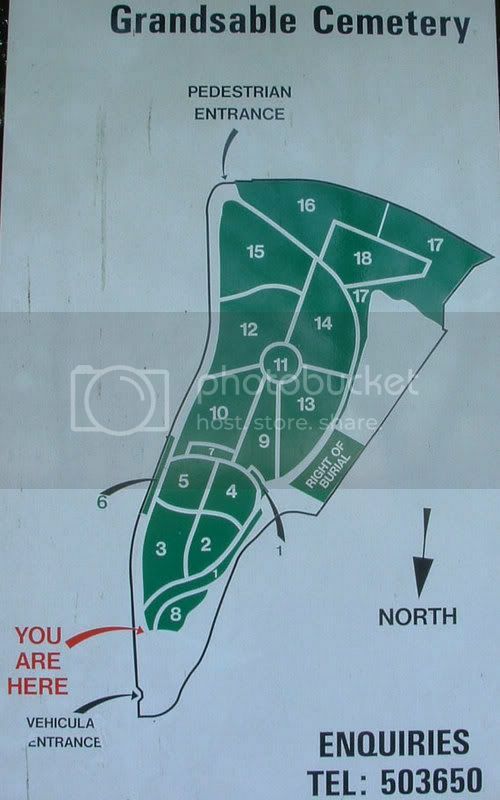 During the 1939-1945 War a large section, comprising of three plots, was set aside for service war graves, but only one plot was used. This is close to the main entrance and was intended for airmen, who form the majority of the service casualties buried here. Headstone/Markerstone Always with a lovely smile God gave us you for a little while. Love Mum and Dad. 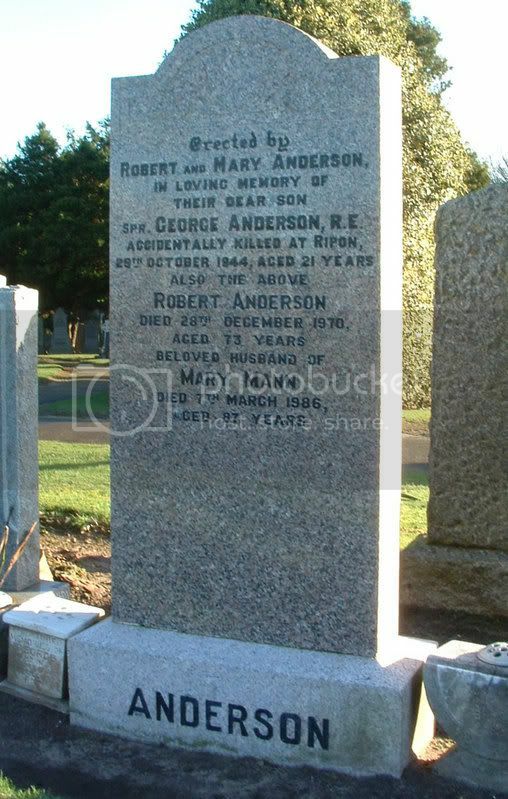 Additional information:	Son of Robert & Mary Anderson (nee Mann), of Laurieston. Accidentally killed at Ripon. Grave/Memorial Reference:	Sec. 12. Grave 602. Unit Text:	205th Protection Coy. 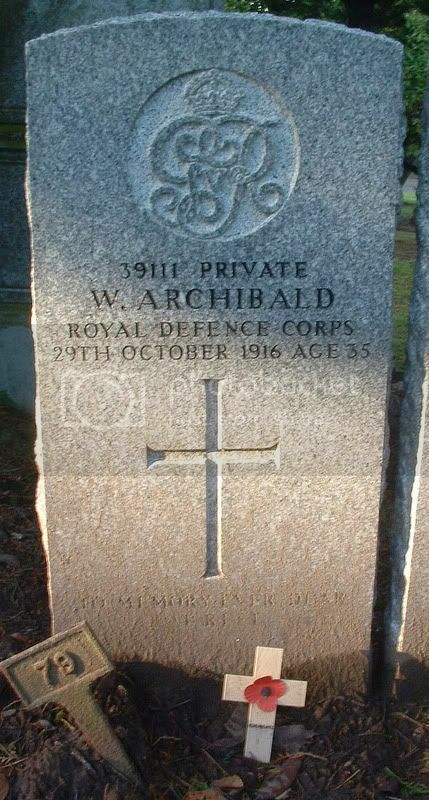 Additional information:	Husband of M. B. Archibald, of 18, Cross St., Partick, Glasgow. Born at Edinburgh. Additional information:	Son of Harry Watson Arnold, and of Eva Mary Arnold, of Saskatoon, Saskatchewan, Canada. 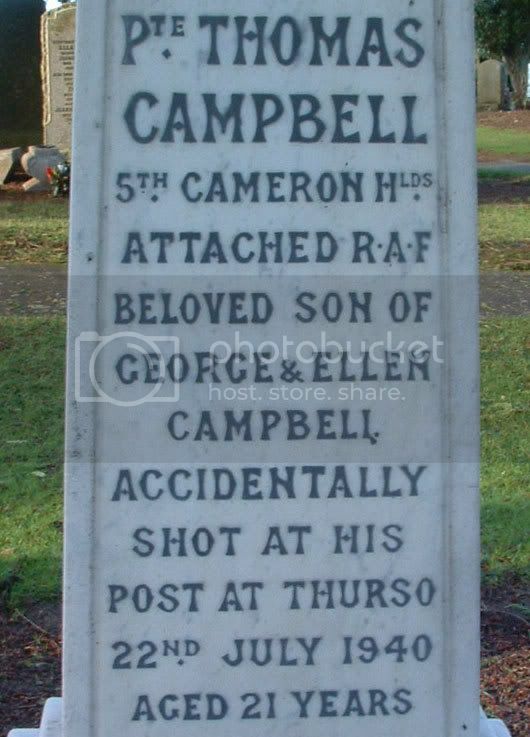 His brother, Keith Fergus Arnold, also died on service. Grave/Memorial Reference:	Sec. 1. Grave 13. 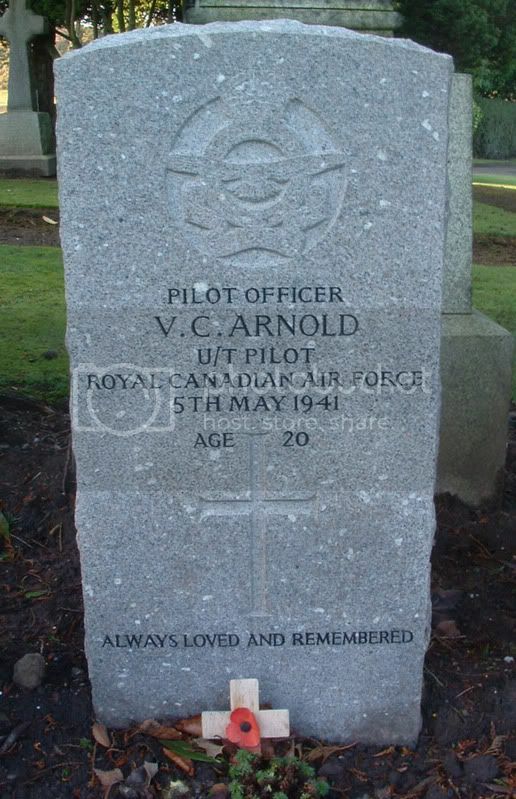 Additional information:	Son of Harry Watson Arnold, and of Eva Mary Arnold, of Saskatoon, Saskatchewan, Canada. Grave/Memorial Reference:	Row 2. Grave 12. 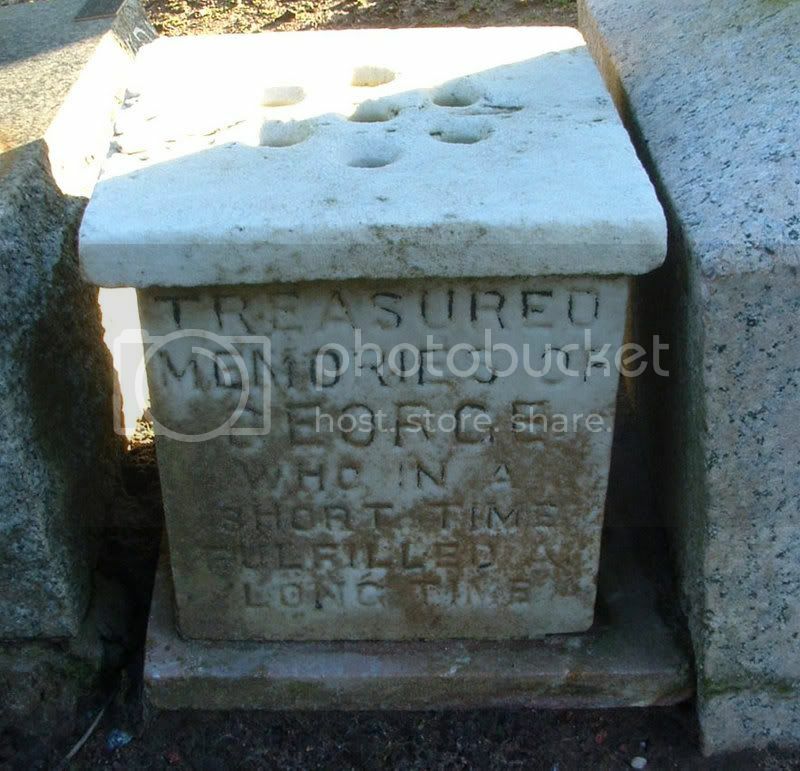 Additional information:	Son of Thomas and Jane Barnfather; husband of Vera Barnfather, of Haltwhistle, Northumberland. 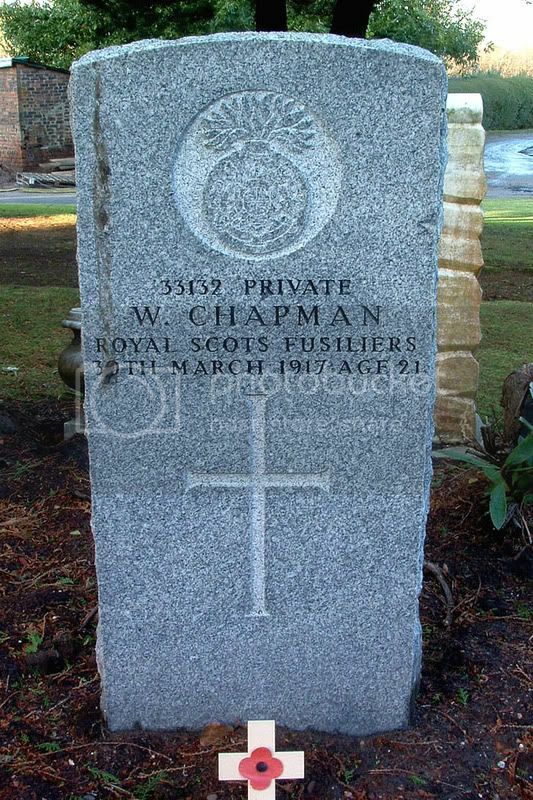 Shared Grave with Sgt. 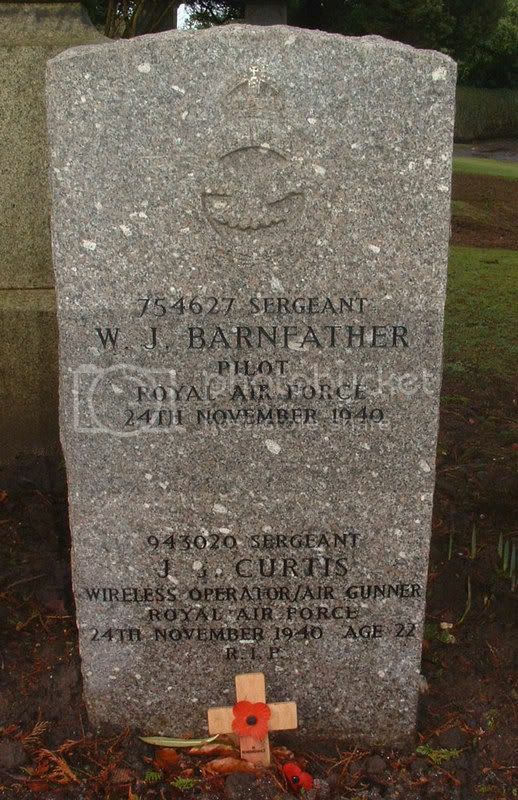 Wireless Operator/Air Gunner J. J. Curtis, R.A.F/. 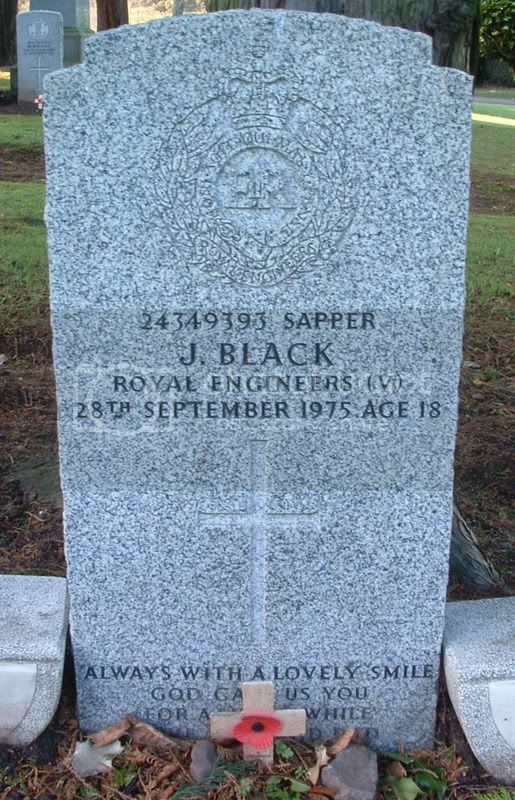 died 24.11.1940 age 22. Grave/Memorial Reference:	Sec. 1. Coll. grave 12. 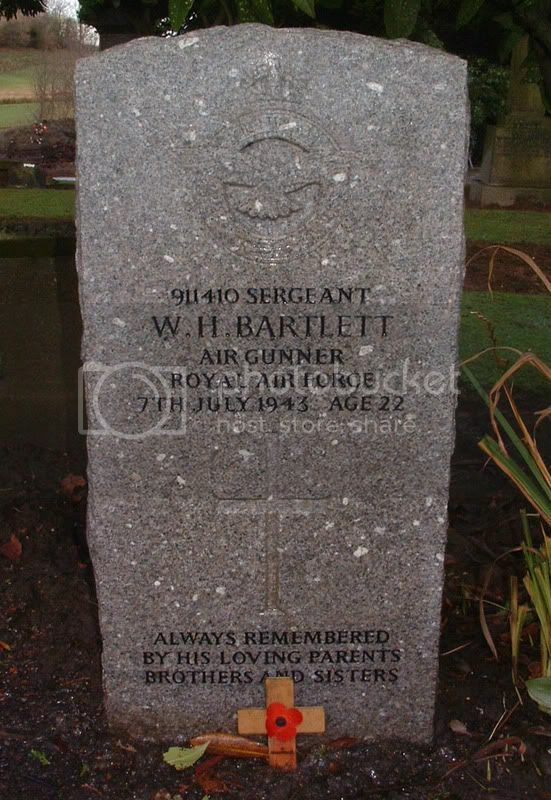 Additional information:	Son of James and Lily May Bartell, of Cambridge. Grave/Memorial Reference:	Sec. 1. Joint grave 17. 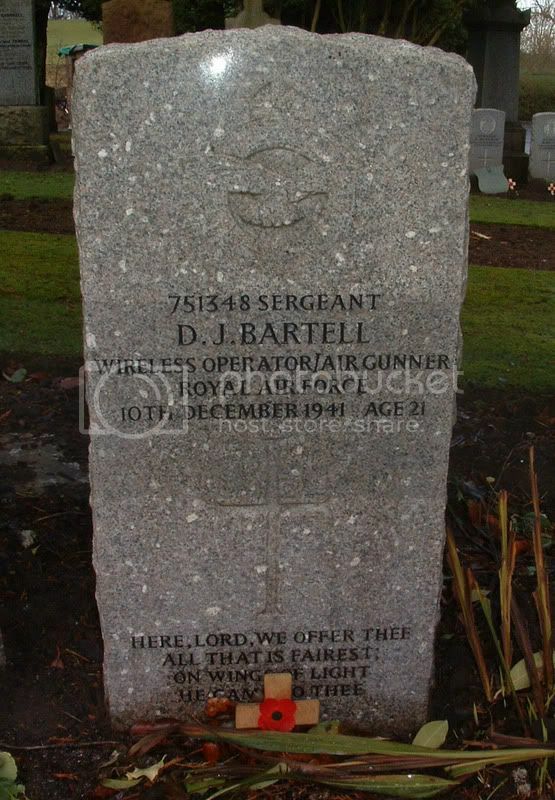 Additional information:	Son of George and Margaret Bartlett, of St. John's, Co. Wexford, Irish Republic. Grave/Memorial Reference:	Sec. 1. Grave 37. 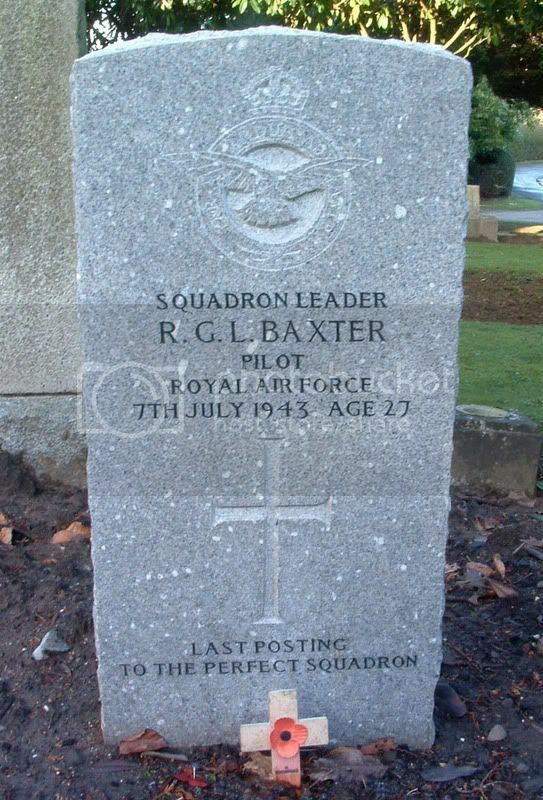 Additional information:	Son of Dr. Alexander Baxter and Flora Baxter; husband of Danae Frances Leslie Baxter, of Lyndhurst, Hampshire. Grave/Memorial Reference:	Sec. 1. Grave 39. 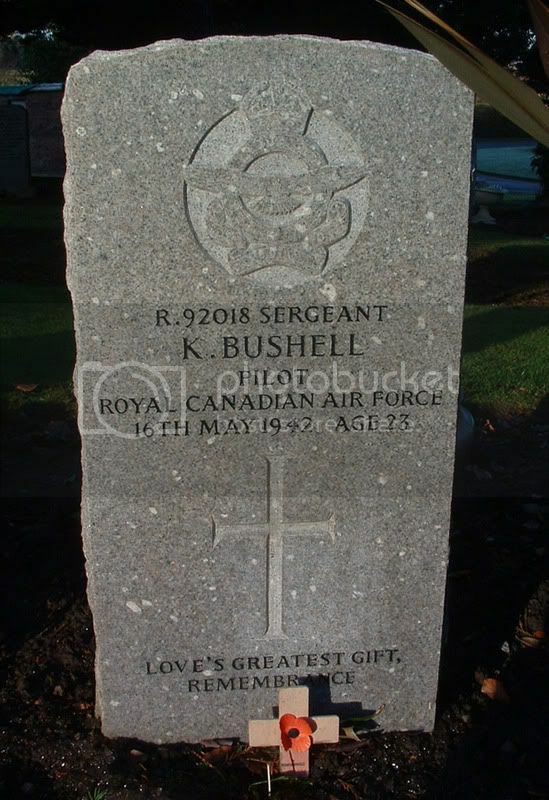 Additional information:	Son of Isaac and Florence Bushell, of Vancouver, British Columbia, Canada. Grave/Memorial Reference:	Sec. 1. Grave 32. 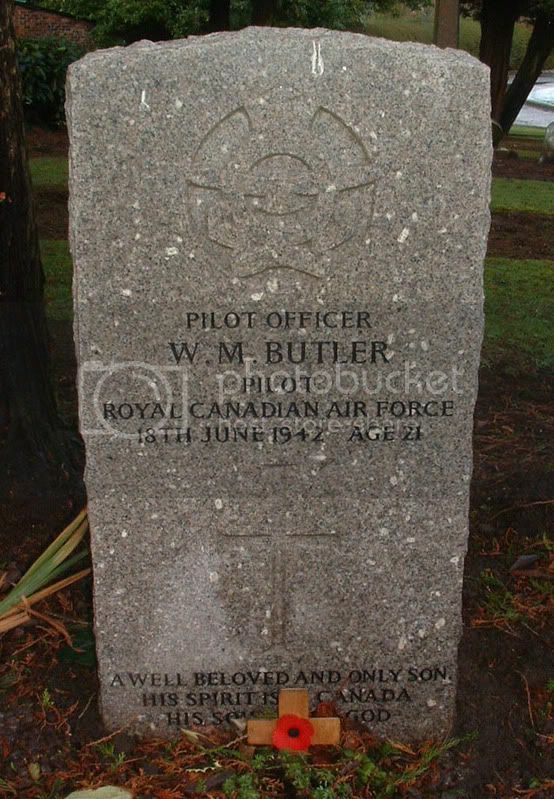 Additional information:	Son of William Alexander Butler and Lola Butler, of Toronto, Ontario, Canada. Grave/Memorial Reference:	Sec. 1. Grave 26. 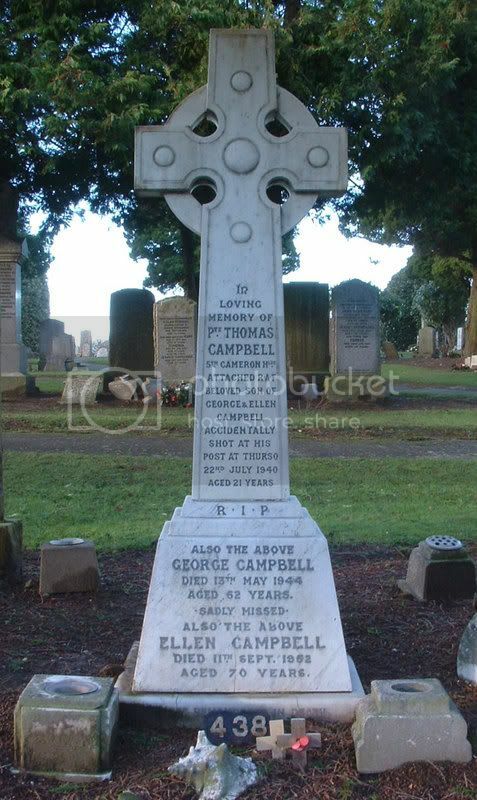 Additional information:	Son of George and Helen (Ellen) Campbell, of Westquarter, Falkirk. Grave/Memorial Reference:	Sec. 12. Grave 438. 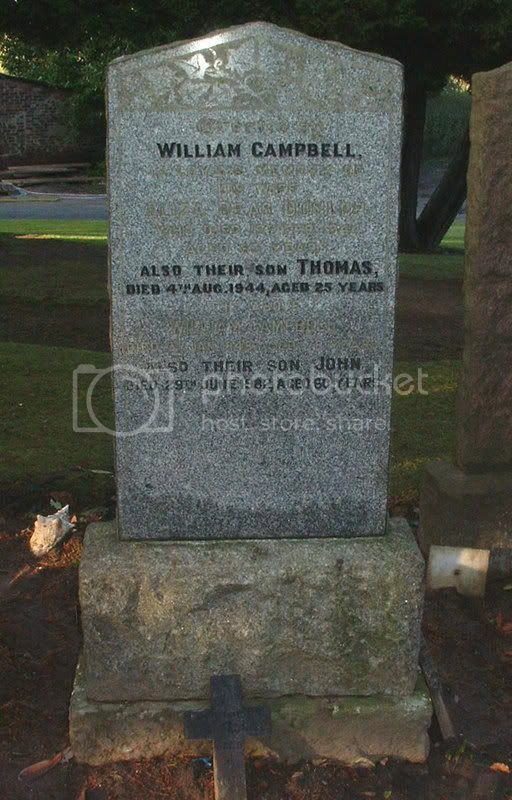 Additional information:	Son of William and Eliza Deas Campbell (nee Dunlop), of Grangemouth. Grave/Memorial Reference:	Sec. 8. Grave 75. Additional information:	Son of Thomas and Janet Chapman. Born at Grangemouth. 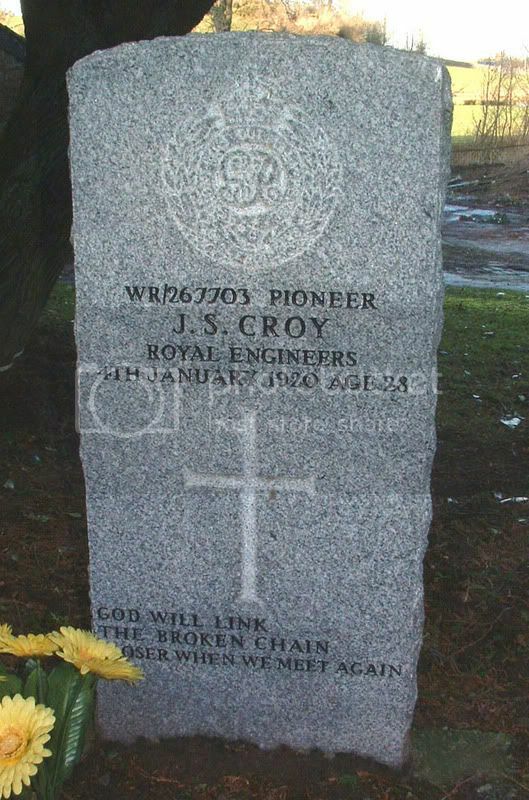 Additional information:	Son of David and Helen Omit Croy; husband of Annie Walker Croy, of 2, Middle St. Lane, Grangemouth. Born at Grangemouth.